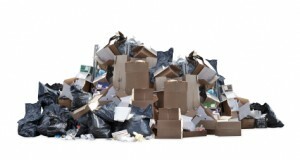 Kate Rigby Associates > Blog > Kate's Words > Rubbish in, rubbish out – what are you putting in your head? Rubbish in, rubbish out – what are you putting in your head? Sitting at my desk, thinking – my very first blog, oooh, what a daunting prospect. I wonder who will be reading it? Will they be trainers, coaches or consultants in people skills like me? Will they be people in the corporate world, small business owner/managers, individuals or just people with a few minutes while drinking their coffee? I’ll probably never know so I’ll just drink my coffee and carry on typing in the hope that you enjoy the story I’m sharing and that it gives you food for thought. Have you ever thought of your head as a kind of “Thought Factory.” It occurred to me the other day as I was putting together a further development programme for an international ceramics company in the Potteries. I had been asked, not unusually, to help managers deal more productively with their behaviour at meetings. Those of you, who have and are following my “Be Memorable Not Forgettable in Business” Programmes, will recognise immediately the following approach and undoubtedly smile knowingly as you read on. I hope those who are not currently followers will also manage a smile. Much is written on aspects of “running our brain” effectively. Well, how on earth do I ensure I talk to these managers in their own language? So I waited for a creative surge to connect my brain with the computer screen staring back at me. I didn’t have long to wait. Of course, these people are factory managers – their working world is made up of systems, processes, raw materials and quality control. I remembered when I had been in the same plant only the year before, they had experienced a very costly issue as a result of the quality of clay entering their factory and the consequences on the quality of the end product – very expensive high quality gold leafed, consistently engineered – scrap. There’s my solution! Right – I’d parallel that process with my KC(C)C* method – brilliant! I’d remind them all how obvious the cause was at the time and how easily their system and processes had allowed for production of consistent high quality rubbish. It was, of course, all about what had been put into the system at the first stage. And so it is with our brain. Allow rubbish thoughts to enter your head and get ready for the negative results they produce. Just as if, you want to produce high quality ceramics, you would only allow clay of the finest quality to enter the factory, so then it makes sense to have strict quality controls for your “Thought Factory” – or perhaps even higher standards. Thoughts lead to attitude leads to frame of mind – all of which leads to behaviour. 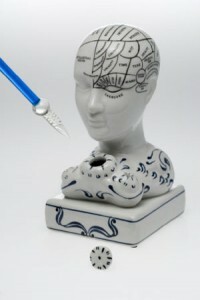 What quality management system are you operating for your brain?! *Kate’s Catalytic (c**p) Convertor – that’s my quality control system, making my thoughts ecologically sound. Great first blog, I will look forward to the next. Thanks so much for the postive feedback Chris. I’m so pleased that my learning has “stuck”! Much appreciated Graham, glad you enjoyed it! Great blog entry Kate, you put everything back into perspective! Having benefitted from your training courses I have the positive filter in place. Look forward to reading next months. What a smashing blog entry Kate! Yes, it put a smile on my face and also a reminder in my head. I love the language you use, very personal and perfectly pitched.